Rotherham high-tech firm, Xeros, has added 61 partners to its US reseller model during the biennial industry Clean Show in Atlanta as it capitalises on the increasing demand for its innovative commercial laundry offering. The company, which raised £30m when it floated on the AIM stock exchange, is targeting the billion dollar US laundry market first, taking advantage of water scarcity and water cost issues, bouyed by the financial incentives on offer from major utility companies. Xeros' Forward Channel Partner programme, launched at the Clean Show, is creating a broad sales network across North America of established laundry industry players. The business model is more about the deployment and servicing of the patented polymer beads than the machines themselves. The company and resellers benefit from a monthly recurring revenue stream from services and sales of "Sbeadycare," the all-inclusive laundry management program to hotels, commercial and industrial laundries, dry cleaners, fitness clubs and spas. 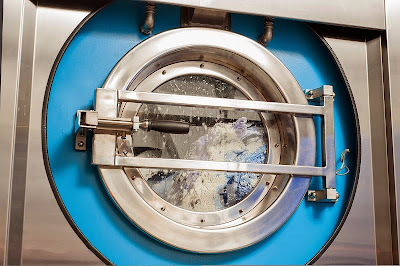 The environmentally-friendly technology system uses up to 80% less water, 50% less energy, and approximately 50% less detergent as compared to conventional washing to deliver superior cleaning results. The reusable beads have a lifespan of hundreds of washes before being collected and ready for re-use in the polymer supply chain. The expanded network will support installed Xeros machines, delivering the "final mile" of the Xeros Sbeadycare service and extending the group's own customer service capabilities. Bill Westwater, chief executive of Xeros Technology Group, said: "The material expansion of our Forward Channel Partner programme is an exciting and significant development for us. Our 61 new partners expand our sales and service capabilities substantially and will enable us to capitalise further on the growing interest in our commercial and environmental proposition across North America. "Our Forward Channel Partner network will help accelerate the roll-out of our superior bead cleaning technology across US commercial laundry businesses, increasing the number of installed and committed to be installed machines, and as importantly securing the long term, embedded service revenues that Xeros Sbeadycare provides. "The tremendous interest shown in Xeros at the Clean Show is testament to the immediate relevance of our proposition to the commercial laundry market and is complemented by the financial incentives to install energy efficient Xeros machines now being offered by 13 utility companies." Xeros will announce its results for the six months ended January 31 2015 on April 28.